Warrenton, GA - Mrs. Mable Johnson Reese, 100, of Highway 80, Warrenton, GA entered into rest August 1, 2018 at her residence. Mrs. Reese was the beloved wife of the late Wyman Pilcher Reese and the daughter of the late Florine Chalker Johnson and the late Robert Johnson. Although she grew up in McDuffie County, Mrs. Reese lived most of her life in Warren County. She was the retired owner and operator of Countryside Flower Shop and had served several years on the DFACS board for Warren County. 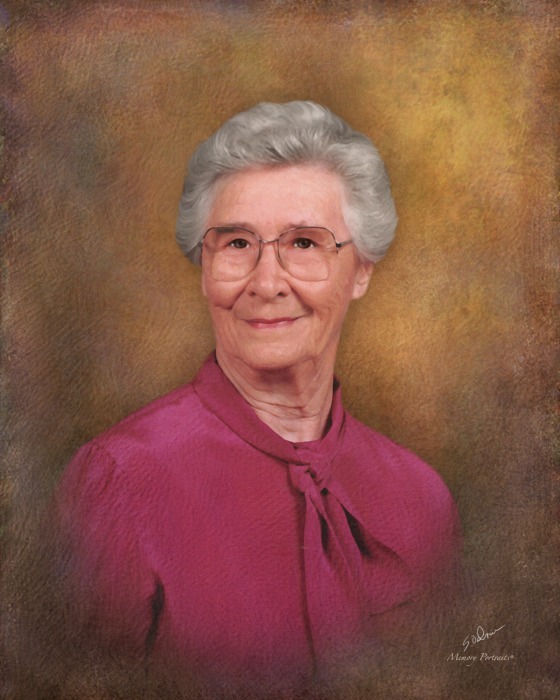 A Methodist by faith, Mrs. Reese was a faithful and devoted member of Macedonia United Methodist Church where she played an active role on the bereavement committee preparing meals for church members. In her honor, Macedonia United Methodist Church named their prayer garden, Mable’s Prayer Garden. In her spare time, she loved gardening, baking, and was especially talented at painting and ceramics. In addition to her parents and her husband, Mrs. Reese was preceded in death by her brothers, Clark Johnson and Ed Johnson and her sister, Marguerite Johnson. Survivors include her daughter, Sylvia Neely (Pat) of Isle of Palms, SC; sons, Robert W. Reese (Lawana) of Warrenton, GA and Donald E. Reese, Sr. (Marie) of Warrenton, GA; grandchildren, Nick Neeley (Michelle), Natalie Neeley (Anthony), and Shannon Reeves (Ryan) and Donald E. Reese, Jr.; and great-grandchldren, Linzie Reeves, Hannah Reeves, Parker Neeley, Taylor Neeley, and Isla Neeley Guaraldo. The family will receive friends from 6 until 8 p.m. on Friday, August 3, 2018 at the funeral home. Funeral services will be held at 2:00 p.m., Saturday, August 4, 2018 at Macedonia United Methodist Church with Rev. Mickey Moss. Interment will follow in the Macedonia United Methodist Church cemetery. Memorial contributions may be made to Mabel’s Prayer Garden at Macedonia United Methodist Church, 7257 GA-80 N., Warrenton, GA, 30828. Beggs Funeral Home, 799 Cobbham Rd., Thomson, GA is honored to serve the Reese family.